Product information-Petkin Jumbo Ear Wipes for Cats Dogs are the simple yet highly effective way to make sure your pets ears stay clean and healthy. 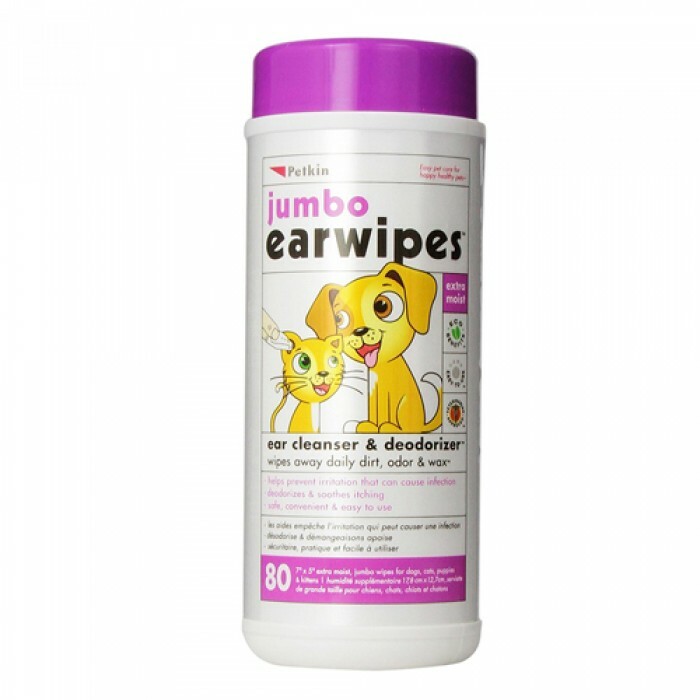 These extra soft and moistened wipes contain a gentle cleanser which removes dirt odour and wax from the sensitive ear areas while soothing any itchiness. Also great for helping to prevent infection with regular use these fantastic wipes are the perfect part of your pets hygiene grooming. Pack contains 80 wipes.